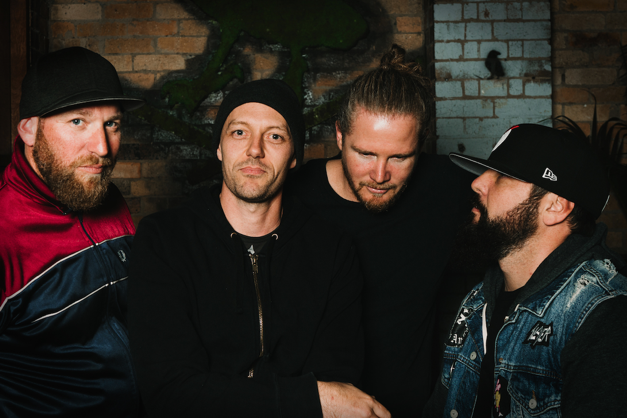 Home » Main Menu » News » JEN HAS A CHAT WITH AUSSIE HIPHOP LEGENDS BUTTERFINGERS. JEN HAS A CHAT WITH AUSSIE HIPHOP LEGENDS BUTTERFINGERS. Info about tour below. Tickets here. After a massive 2018, which has already seen Aussie hiphop royalty Butterfingers release new music, head out on tour and play a string of killer showcases at BIGSOUND, the legendary group have today announced the 15 Years of Fatboys Australian tour. The epic run kicks off on March 1, 2019 at The Villa in Noosa, before moving through to the Gold Coast, Brisbane, Wollongong, Newcastle, Sydney, Adelaide, Frankston, Geelong, Belgrave, Dunsborough, Perth, Hillarys, Melbourne, Hobart, Townsville, Airlie Beach, Toowoomba, Ipswich, and wrapping up at The Northern in Byron Bay on April 26, supported nationally by Melbourne MC, Fresh Violet. With years of experience under their belts, their tongues inserted firmly and permanently in their cheeks, and an undeniable sense of rhythmic brilliance, Butterfingers are thrilled to bring their breakout album Breakfast At Fatboys back out on the road in 2019. They have also announced that the classic album will be released on orange vinyl for the first time ever, to coincide with the tour. Excited to kick things off, Evil Eddie enthuses, “We’re super stoked to be hitting the road for the anniversary tour of Breakfast At Fatboys, and can’t believe it’s been 15 years. It’s a good long list of shows, and there’s going to be songs in the set we haven’t played live since the original album tour in 2004.” Set to play the album from start to finish, then sprinkle in some newer tracks and some old fan faves, Butterfingers are no strangers to the wild live scene of the Aussie hip-hop world. Jen got the chance to ask a few questions about their upcoming Aussie tour. You have had a super busy 2018 I bet you, like me, are hanging out for a break over Christmas. How does Australia’s Hip Hop royalty spend their Christmas? Well we’ve got shows at Woodford Folk Festival between Christmas and New Years then Summernats early Jan. No rest for the wicked. Your fans must be stoked that you are bringing back Breakfast At Fatboys into your live shows. Did you feel some pressure from fans or other bands as it does seem the thing to do these days. Not saying that is a bad thing! Nah, not pressure. We just thought it would be fun and to be honest I can’t wait to play some of those old tunes we haven’t touched in a while. In regard to touring, what are the main differences between 15 years ago and now for you? These days we’re way more drinking fit. Good one! This tour is massive, I mean it even has a Tasmania date which is rare these days. Was the plan to go back to many of the venues that you performed at 15 years ago? As I can imagine that it would be difficult to do this when so many have closed down. Great that you are playing at The Corner Hotel, that is my fav venues. Yeah, we really made a name for ourselves by hitting all the smaller out of the places. Tas is one our favourite places to play. Same with Perth. When you get out of the bigger cities people really know how to party. How difficult is it to revisit old songs that you would not have played live for 15 years? Have you started rehearsals already? Hahaha! You should probably start that! What song are you looking forward the most to play and why? The song ‘Speak Your Mind’ has a duelling kazoo solo that used to be a lot of fun to play. Can’t wait to bust that one out again. ‘Piss On Ya’ should also be pretty fun. Here is a listicle for you to complete. Your Favourite 5 songs released in 2018 and why. Yep I like to make people think really hard! More info about Butterfingers here. Upon release, Breakfast At Fatboys was a triumph for the group, as their cheeky, eclectic brand of stomping hiphop became hugely popular across the country and beyond. Their first two singles, Everytime and I Love Work, both featured on the debut album, made it to triple j’s coveted Hottest 100 countdown at #38 and #15 respectively and Yo Mama dropped in at #17. The album become a favourite on the station, earning the Feature Album accolade in addition to a nomination for Best Independent Release at the 2004 ARIA Awards and a guest programming slot on Rage. Tickets to the 15 Years of Fatboys national tour will be available for fan and venue presale from 9am LOCAL Thursday 8 November and general public from 9am LOCAL Thursday 15 November.